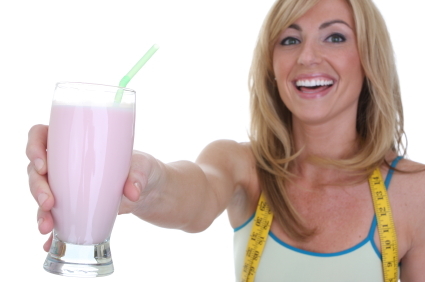 Whey protein shakes can boost your weight loss to a whole new level. Obesity has been steadily increasing in the United States for the past 20 years. According to the Centers for Disease Control and Prevention, more than 35 percent of American adults are obese. Besides affecting your physical appearance and self-esteem, obesity also increases your risk for many health conditions, including stroke, heart disease, diabetes, metabolic disorder, depression, and cancer. Due to increasing rates of obesity in our country, different weight loss supplements and diet plans are becoming more and more popular among overweight people who hope to shed those extra pounds. One possible weight loss strategy is to use protein shakes as meal-replacements in order to cut down daily calorie intake and promote weight loss. Although this strategy may seem simple, high-protein meal-replacements (such as whey protein shakes) can offer a very effective way to lose weight and obtain a healthier lifestyle, according to recent scientific studies published in the Nutrition Journal and in the Nutrition, Metabolism and Cardiovascular Diseases journal. A 16-week clinical study published in the Nutrition Journal looked at 90 obese people that followed either a high-protein meal-replacement diet plan or a regular food-based diet plan. The results from the study showed that the high-protein meal-replacement diet plan caused significantly higher reduction in body weight when compared to the food-based diet plan. The participants who followed the high-protein diet plan lost an average of 12.3 percent of body weight during the 16-week trial, while the food-based diet plan participants lost only 6.9 percent. Similar results were found by another clinical study that was published in the Nutrition, Metabolism and Cardiovascular Diseases journal. This study evaluated 215 obese subjects that were assigned either to a high-protein diet or a standard protein diet for the 12-week study period. Participants who consumed the high-protein diet had greater reduction in body weight and total body fat, when compared to the participants who consumed the standard protein diet. In addition, participants who consumed the high-protein diet showed significantly improved blood triglyceride and cholesterol levels after the 12-week study period. These two studies did not only show that high-protein diet is an effective weight loss strategy, but also indicated that high-protein diet may also have beneficial effects on blood lipid profiles, including reducing total cholesterol and triglyceride levels. Since high blood cholesterol and triglyceride levels are major risk factors for heart disease and stroke, consuming a high-protein diet that helps improve your blood lipid profile, could have a significant positive effect to your overall health. Building a high-protein weight loss diet is easy to do with whey protein powders, such as with the EnergyFirst ProEnergy Whey Protein Isolate (www.energyfirst.com/whey-protein-isolate). Whey protein powders come in tasty flavors that are easy to use. Simply mix them with water for a nutritious meal that has a lower calorie content than a regular meal. When choosing a high-protein meal-replacement product, choose a whey protein powder that is made with 100 percent natural ingredients and contain no fat or cholesterol, such as the ProEnergy Whey Protein Isolate. Also choose a product that is low in carbohydrate. This helps keep the calorie count low, while ensuring a high-protein content of your meal. When it comes to weight loss, the most important factor is to ensure your daily calorie intake stays below your body’s metabolic need. When you consume fewer calories than your metabolic rate is, your body is forced to burn stored fat for energy. Burning stored fat for energy will eventually lead to weight loss as the amount of adipose tissue in your body decreases. This is why low calorie diets induce fat burning and promote weight loss. Meal-replacement protein shakes are typically lower in their calorie content when compared to regular meals and thus, can help reduce your daily calorie intake efficiently without making you feel hungry or unsatisfied. In addition, whey protein shakes are higher in their nutritional value when compared to a typical American meal. Besides containing high quality protein, you will also get essential minerals when you consume a whey protein shake using EnergyFirst ProEnergy Whey Protein Isolate. Based on the two clinical studies that evaluated the benefits of high-protein meal-replacement diet plans, you may get the most optimal results when you replace one to two meals with a protein shake each day. In addition, you should consume one or two “regular” meals build around healthy, low-glycemic index foods, such as whole grains, vegetables, lean meat, and low-fat dairy products. Avoid refined foods, such as white bread, pasta, pizza, deli meats, and sugary treats. These are bad choices due to their poor nutritional value, and usually contain high levels of artery blocking saturated fats, simple sugars and nitrates, which are shown to increase your risk for heart disease and stroke. As a conclusion, scientific studies have showed that high-protein diets can help reduce total body weight and total body fat in obese people. These studies suggest that replacing meals with whey protein shakes can be a very beneficial weight loss strategy that allows you to shed extra pounds. In addition, high-protein diet may be an effective way to reduce your blood cholesterol and triglyceride levels, which are two major risk factors for cardiovascular disease.